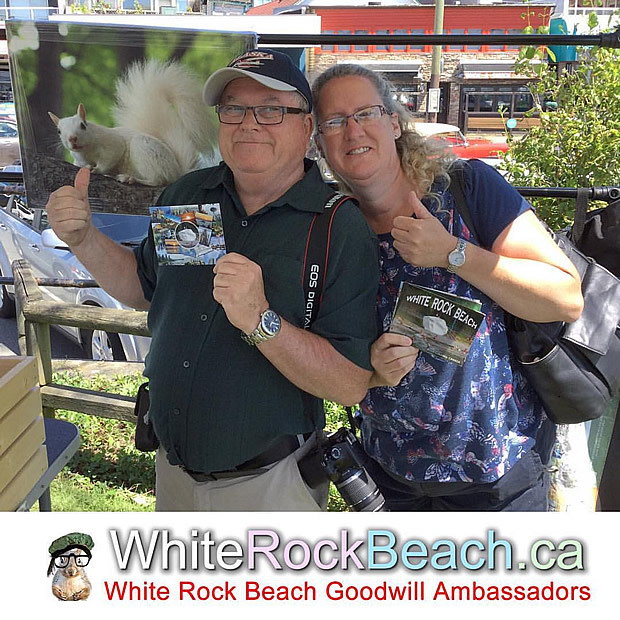 This nice couple from London, Ontario were surprised to see Victoria Park squirrel postcards and White Squirrel postcards, greeting cards and magnets from Exeter (north of London) being sold at White Rock Beach, British Columbia. 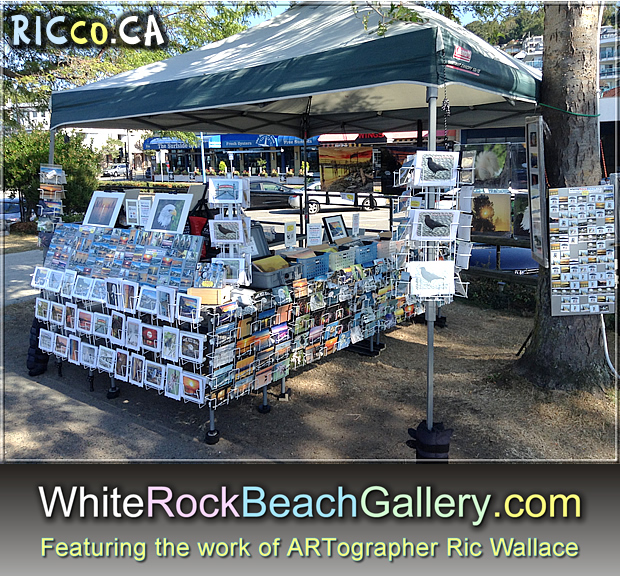 They stocked up on various White Squirrel postcards as well as some White Rock Beach postcards to send to family and friends in Ontario. Looking to get away from the HOT & HUMID weather Londoners get in the summer and want a COOL place to visit? Consider White Rock Beach, British Columbia. Ric Wallace to look at his postcard photography work. 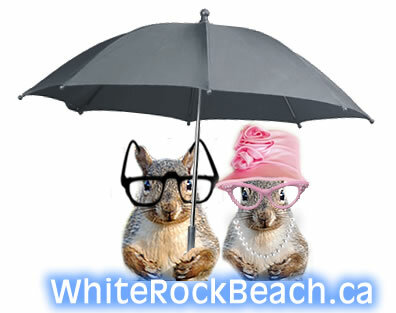 Lucky & Sugar-toes (former London, Ontario residents) welcome you to our site about White Rock Beach in Beautiful British Columbia and the surrounding area. 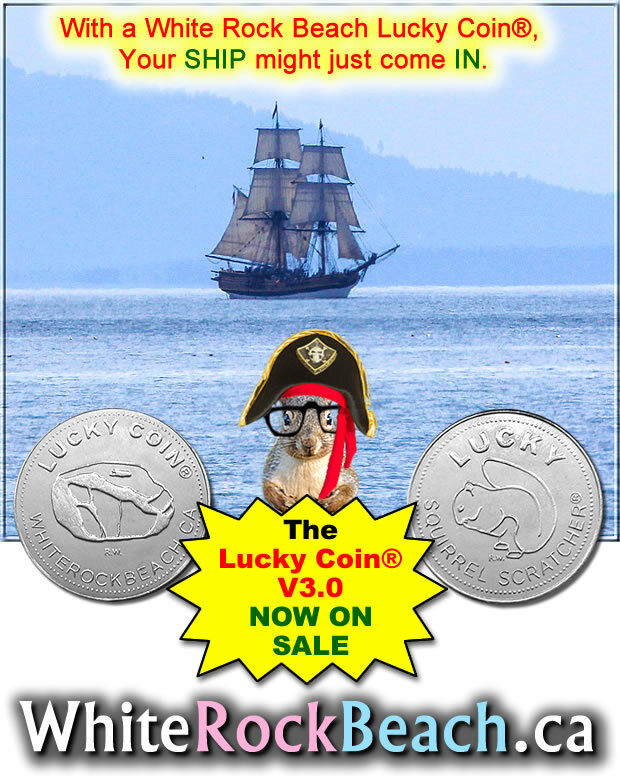 We plan to feature articles and photos of interest about things to see and do in the lower mainland area of BC and in Washington State. White Rock Beach is less than 2 hours north of Seatle Washington. 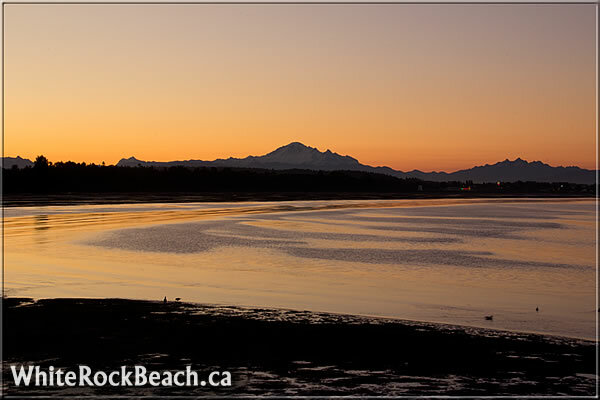 The White Rock Beach district runs along Marine Drive and includes a 2.5 km waterfront promenade that overlooks the warm, shallow waters of Semiahmoo Bay. 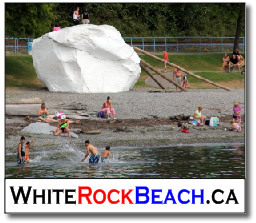 The actual city of White Rock is 45 minutes from Vancouver, BC and minutes from the Canada/USA border. The city dates back to the turn of the 20th century (1900) and has a population of 18,755.(2006). 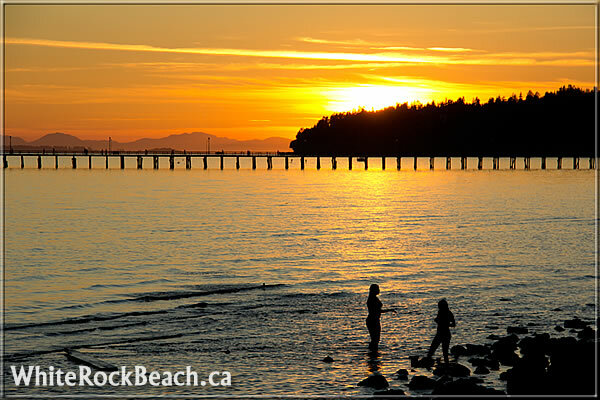 White Rock Beach enjoys far more days of sunshine than the rest of the lower BC mainland. White Rock Beach is also known as “the hole in the sky” by pilots flying overhead who’ve remarked that while often the rest of the lower mainland is under cloud cover, the sky over White Rock is clear, sunny, and cloud free. With the businesses and houses in the area built into the hillside overlooking the water, the White Rock Beach area is often referred to as the Riviera of the west coast (of Canada).